Awwww.....the sweet smell of freshly picked lemons. 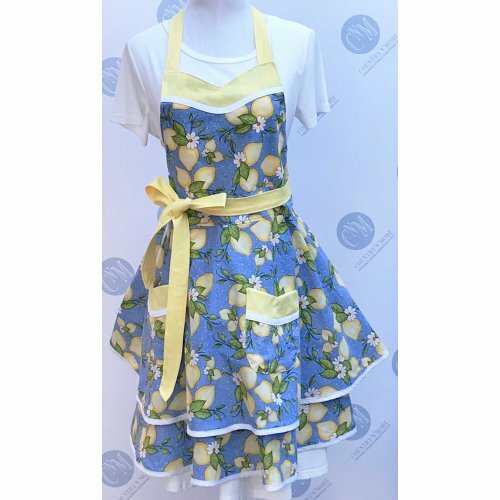 If these lemons were real, the apron would smell so sweet. 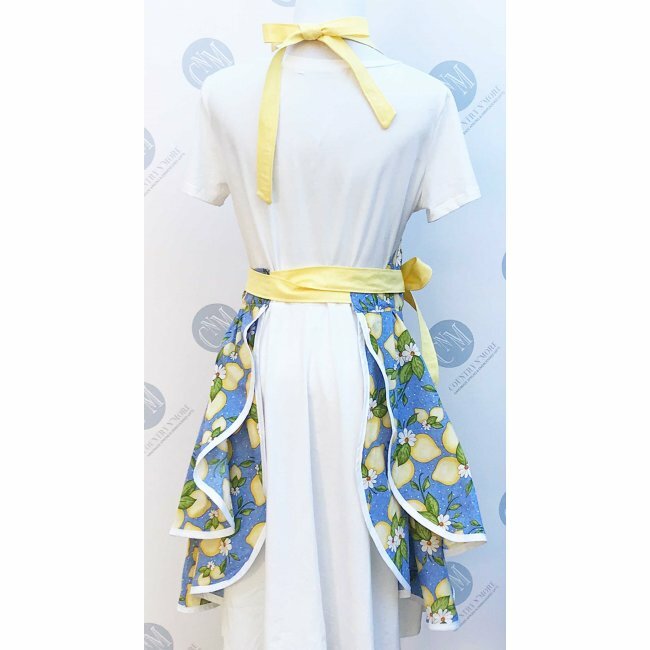 This cute lemon pinup apron is covered with yellow lemons and lemon blossoms. The lemons stand out against the medium blue background. The lined pockets and big have been accented with lemon cotton fabric and white bias tape. The pockets and bodice are lined with the same yellow fabric as the accent and the fabric used for the straps. This apron makes a sweet gift for that special woman, or you may choose to keep it for yourself. Apron has two full skirts finished off with white bias tape. All edges are are top stitched for a more professional appearance. This helps the apron keep its shape. Waist measures 24 inches , which does not include the ties. Waist ties measure 39 1/2 inches long. The neck straps are adjustable and are tie in the back.